The new ordinance requires any proposed acquisition of surveillance technology to go through a public process. First, law enforcement must announce the proposal publicly, provide a formal analysis supporting the rationale, and also document potential impacts on privacy. Then, there is an opportunity for public comment to inform a transform, public vote by local elected officials. Only with their approval may the proposal proceed. We are disappointed that the Palo Alto measure lacks a provision through which the public can enforce its protections. Instead, it empowers only Council members to hold law enforcement accountable if they violate the ordinance’s process requirements. This weakness aside, the adoption of the measure is an important step forward in the expansion of civilian oversight across the Bay Area, California, and beyond. Three days later, the Board of Bay Area Rapid Transit (BART) voted unanimously to adopt a similar measure. This comes on the heels of a controversial proposed BART face surveillance program that lacked any public process. It also follows the activation of automated license plate readers (ALPRs) at a BART station without the Board’s prior approval, and the transfer of the resulting ALPR data to a regional fusion center, where it was accessible to U.S. Immigration and Customs Enforcement (ICE). Thus, the new oversight ordinance reflects a dramatic turn for BART. Like the Palo Alto ordinance, the one adopted by BART is flawed in some respects. It includes a potentially dangerous exception for law enforcement to conduct a “trial” period use of unapproved spy tech for up to 60 days at a single station. We hope the limited duration for a trial suggests that it will not become a back door to permanence. The BART Board will need to actively ensure that potential trials remain truly temporary. 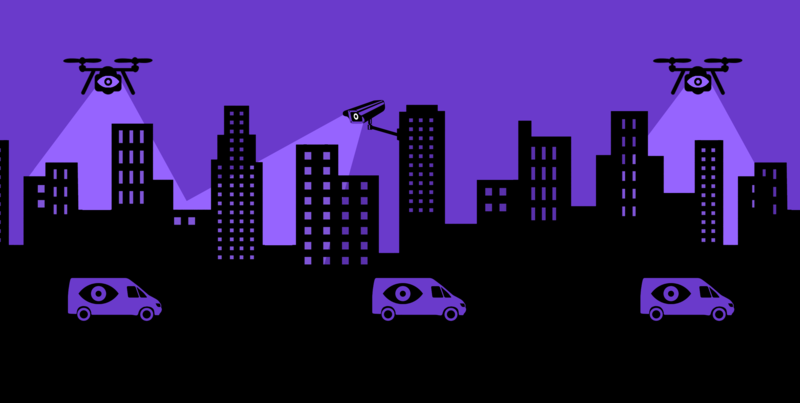 In June 2016, the first local surveillance oversight measure in the nation was adopted in Santa Clara County, the heart of Silicon Valley. These laws also have been adopted in Berkeley, Davis, and Oakland. By subjecting any proposed surveillance technology to a public process, these laws not only ensure community control over whether police acquire these tools. They also force into the open the increasingly common domestic use of powerful spy tech designed for use in foreign battlefields, which has proceeded largely in secret, despite being the subject of explicit warnings by the last U.S. President to command a wartime army. Each of these measures was spearheaded by local community organizations, including Oakland Privacy, a member of the Electronic Frontier Alliance. Oakland Privacy was formed during the Occupy movement in response to a proposed Domain Awareness Center, and continues to champion civilian oversight across Oakland and beyond. It was joined in Palo Alto by the Peninsula Peace and Justice Center, another group in the Alliance.